Our bronze look sculptures have been created using the cold resin casting method. Each stature is cast in great detail and then oxidized copper plating is used to create the look of a true bronze figurine. The statues we offer make the perfect addition to any room in your home including living rooms, bedrooms and offices. The love of nature is captured in the wide variety of animals portrayed in this line of figurines and sculptures. 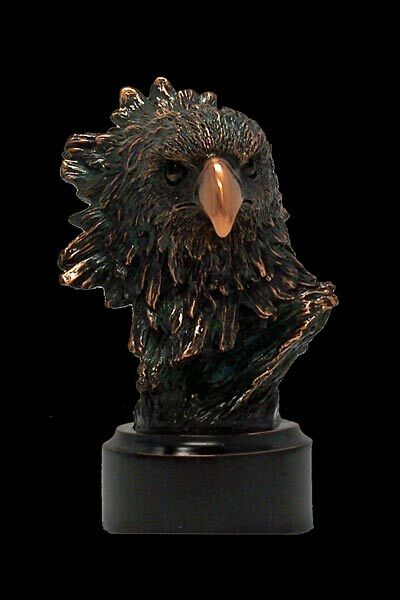 We have statues, bookends, and other bronze sculptures for every taste including bears, eagles, horses, buffalo, wildlife, sea life, religious bronzes.